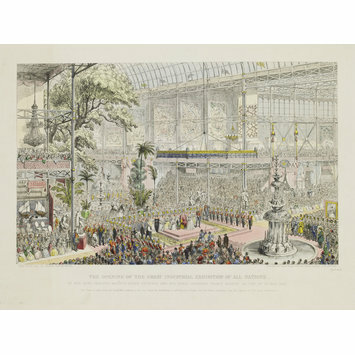 This etching depicts the opening ceremonies of the Great Exhibition on 1 May 1851. The venue was the Crystal Palace in Hyde Park, central London. The building housed a wide range of examples of industrial design from across the world. These ranged from raw materials such as food and coal to highly decorative household goods. Here you can see the Archbishop blessing the objects on display. Queen Victoria and Prince Albert are standing on the stage in the middle. 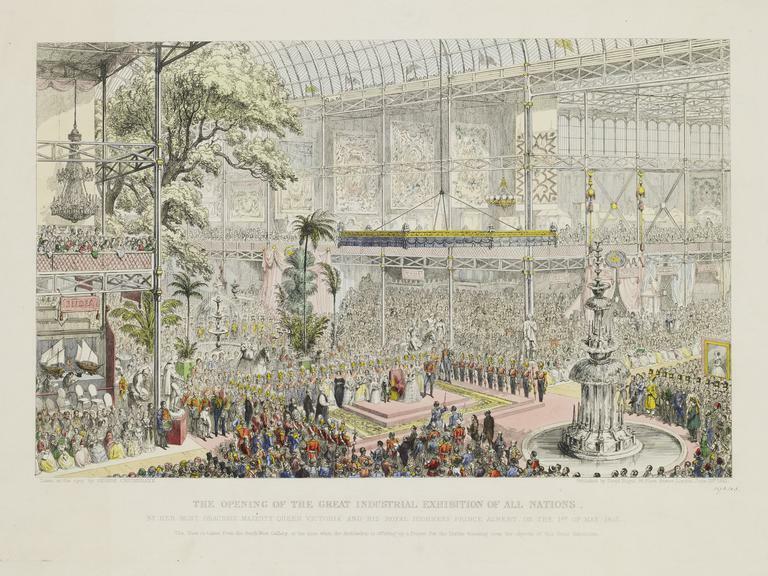 The exhibition was open until October 1851. 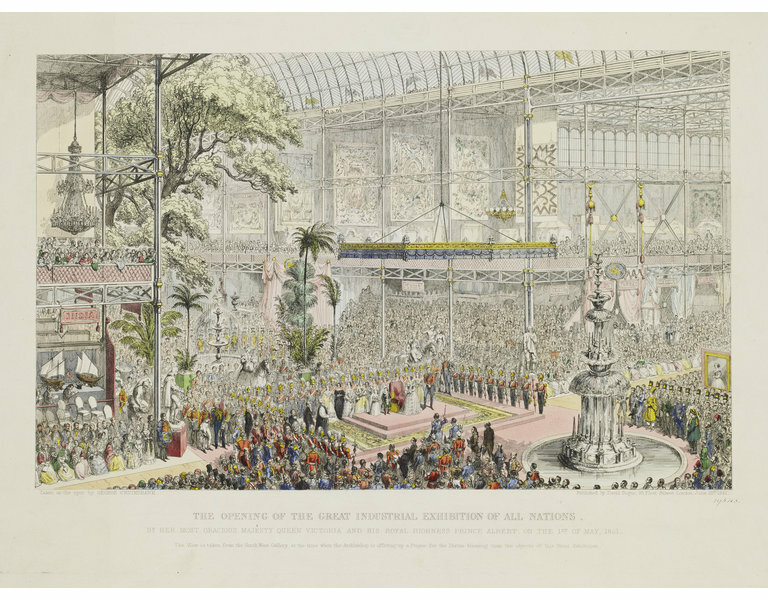 'The opening of the Great Industrial Exhibition of All Nations. By Her most Gracious Majesty Queen Victoria and his Royal Highness Prince Albert, on the 1st of May 1851. View from south west gallery at the time when the Archbishop is offering up a prayer for the Divine Blessing upon the subjects of this Great Exhibition.' Published by David Bogue, 86 Fleet Street, London, 1851.